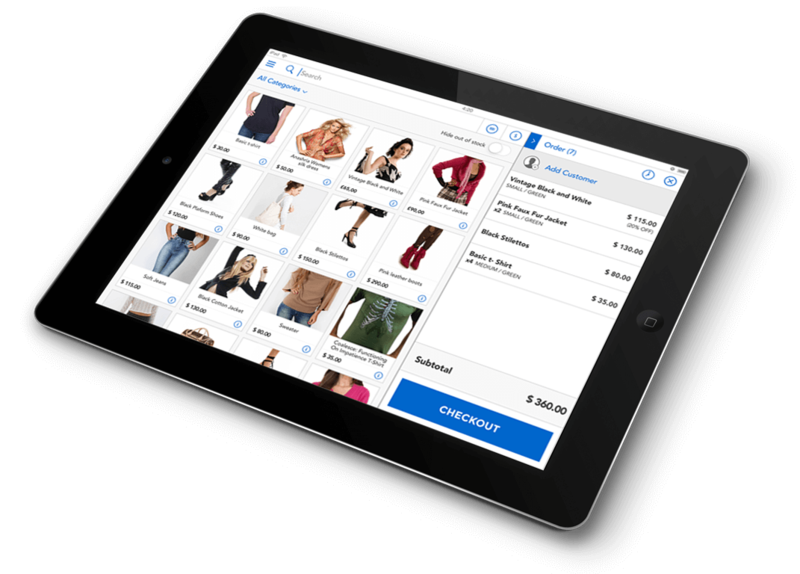 ebizmarts POS is an Enterprise Grade mobile Point of Sale App that enables selling your Magento products in your retail stores for a true Omnichannel experience. Products, pricing, customers, coupons, orders and returns in a native iOS experience. Take card present payments and integrate POS hardware. Create on/off-line orders in store, on the go, or enhance back-office order entry. 22,000+ Magento merchants make us one of the most recognized brands in the Magento ecosystem. The app has allowed everything to be brought together in one small solution giving the staff an easy to use and friendly interface, where they do not have to worry about thinking I need to learn how to use a computer system or till system, they can just get on and start selling! Finally! A Point-of-Sale designed with Magento in mind! I think the key with this product is that it starts with Magento. It isn't a Point-of-Sale that has an after-market integration with Magento. It is a Point-of-Sale built with a direct line to the Magento platform that doesn't cause us to compromise our Magento configuration for the sake of the Point-of-Sale. Fantastic extension by amazing developers! I had certain expectations and expected some limitations to the functionality of this Point of Sale app but I can honestly say that the point of sale app far exceeded my expectations. features on their brick and mortar stores. Software as a Service, with seamless Magento integration. All your products and stock. Everything gets sync'ed with Magento. Just create an account, add your Magento api key and start using it in store. Suitable for a small, single person business. Our recommended plan for small shops with up to 3 devices. Suitable for multi-store setups, this plan grows with your business as it lets you add additional devices. Ideal for Enterprise customers with unique feature needs to match their Magento setup. Make discounts on the fly as a percentage, a fixed amount or entering a custom price directly in the order screen based on users permissions as to who can access them. Add notes to specify discount reason. Create different prices for products based on Customer Groups such as Wholesale, MSRP, Retail, Discounted Retail. Allow sales reps to change a Customer’s Group on the fly based on permissions. Customers are no longer online or retail, make your business customer centric and have the same customers on your physical and digital channels allowing them to do everything on every channel. Sell and redeem Giftcards online and in store, seamless integration with your eCommerce store to create a more engaging shopping experience. Push Gift Cards to iPhone Passbook or Android and activate them based on customers location with iBeacons. Flexible tax configuration system to allow for every possible scenario. Keep track of your cash, adjust amounts and print shifts reports, quick and easy. Add notes to any order so that it can be checked and retrieved at any time. Use the POS with the customer to configure products based on as many different criteria as you want. Create as many role based permissions to your employees and every POS feature can be allowed and locked based on those permissions such as discounts, returns, etc. Add and search products based on barcodes or QR codes. If you do not have or want to use an external scanner you can also use the iPad/iPhone camera. Sales associate can either print or email the customer’s receipt. 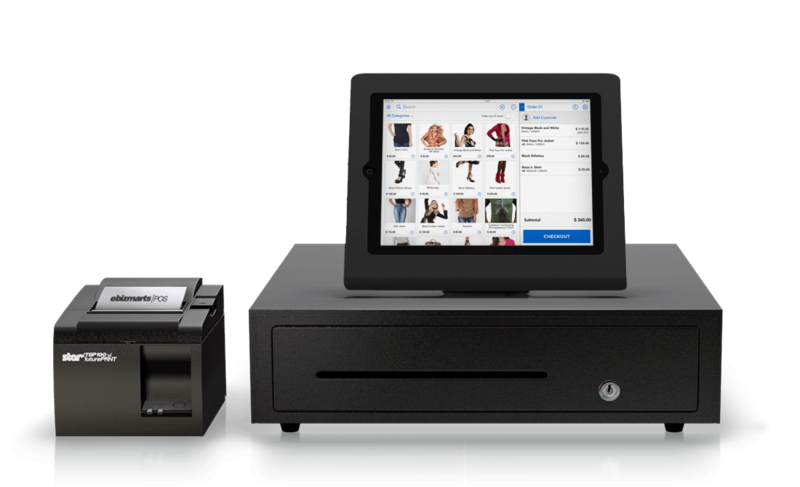 ebizmarts POS is compatible with several network, bluetooth and Airprint printers. Search for orders made through any channel (online, mobile or in-store) by Customer or by Order ID. You can even scan a receipt barcode to find the order and work with it to re-order items, make returns or just search for stuff customer bought in the past. Return orders made through any channel: online, mobile or in-store with ease. See prices and make orders in multiple currencies. Change the look and feel of ebizmarts POS to match your logo and colors. Upload any number of product images to your products for more detail. Sales associates and customers can use the images to check details in store.